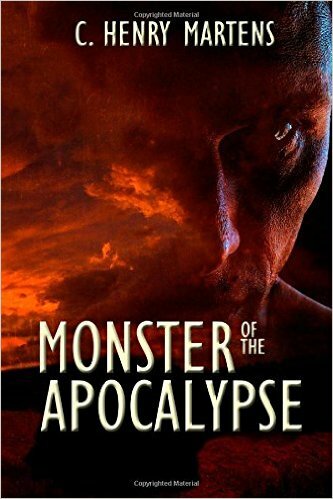 Monster of the Apocalypse, by C. Henry Martens, Reviewed. This dystopian science fiction novel grips from the start. Set in the not-too-distant future, it portrays a world devastated by plague. The few inhabitants left alive display all the emotions, characteristics and personality types that exist in the real world, so it’s easy to empathise with the players here. The story is different from many in the genre and certainly not at all formulaic. It’s a character–driven narrative and all the events are credible, even though there’s some pretty unpleasant action going on. But it’s the relationships that exist between the characters that drew me in. I cared what happened, and this attraction began very early in the story. Pacing is very good, with sections of action interspersed with parts that explain the background and recent history of this world. These are done well, often in conversation rather than as bald exposition, so that they fit in well with the narrative. There are minor parts where the author’s voice can be detected, but these are few and easily accepted. I took quite a while to read this due to other things going on at the time of reading, but it’s the sort of book I would have preferred to devour in a single sitting. The story grabs and doesn’t wan to let go. It’s a dark tale, but enjoyable nevertheless. If you like your science fiction with human content and characters you can live with, this is a work for you.